If you’re preparing for a turbo-charged year, there are some very important items to keep in mind when it comes to marketing. Last week, I talked about the importance that Google places on mobile-friendly websites. 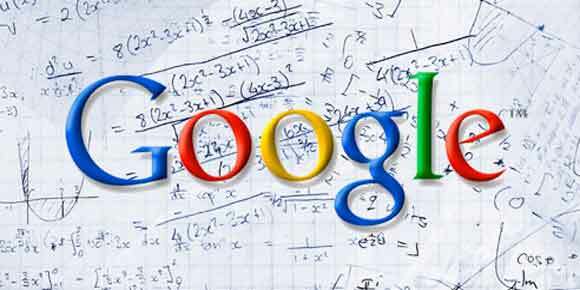 In 2014, the search engine giant also implemented some significant algorithm updates. They’re striving to improve user experience by focusing on high quality, authoritative content that is relevant to the searcher. According to this article on Forbes, Google’s algorithm updates give it the ability to discern the meaning behind a user’s search, apart from the actual words they search. So, the search engine is decoding the reason why you’re searching something, rather than just matching the keywords you search. For example, if you search “kale salad,” Google concludes that you’re probably looking for a tasty recipe for kale salad, rather than a photo of the kale salad that Suzie Q posted on her timeline. This is important for your business because it means that you can’t only rely on keywords for success; you have to think about the relevance of the information you’re sharing with your audience. Include Photos – People enjoy visual content and are more likely to engage if there are photos accompanying text. Multimedia-based content has been shown to be shared up to 12X more than text content, according to this article. Mind Your Grammar – In order to provide higher quality search results, Google is filtering out spammy, untrustworthy sites. One of the factors they use to rank sites is grammar and sites that have poor spelling and typos will not gain Google’s trust. Make sure to take the time to proofread your content before publishing. Make It Pretty, Please – Along with critiquing your grammar, Google is advanced enough now to determine the layout of your page and how reader-friendly it is. You can create a visually appealing website by using headings, bullet points and white space to make your content easy to read. CONSISTENCY: After determining what type of content to create, the next factor is consistency. If you don’t have a blog, start one. Then create a set schedule and start publishing posts on a regular basis. Whether it’s once a week or once a month, jot down the publish dates on your calendar so that you don’t have to worry about remembering the schedule. Start writing consistently and you’ll be a blog maven in no time! CHATTER: Once you create your awesome, buzz-worthy content, make sure you share it! Social media is one of the best ways to get eyes on your business and generate new inbound links to your website. There’s currently some back-and-forth about which social factors play into search engine rankings. Either way, maintaining a strong presence on social media channels is a great way to engage your customers and build a following. Rather than creating an account on every existing social channel, we suggest selecting the number of channels that is manageable for you. It’s better to have consistent activity on three channels, than to have little to no regular activity on six channels. Although 2015 is the Year of the Sheep, you cannot be sheepish when it comes to your website or content creation! The importance of having a well-functioning website and a consistent blog is at an all-time high. You’ve got to focus on your target audience and generate content that is engaging and relevant to them. Which one of the above marketing strategies will you implement this year? Share with us in the comments below!